Uber and Lyft drivers might seem well-insured, between the rideshare companies’ coverage and their own policies. However, a crucial gap leaves drivers at risk if they have an accident at the wrong time. Once a driver accepts a fare or has passengers in the car, each company’s insurance policy is pretty generous. But while a driver is waiting for a ride request, coverage is slim. It includes only basic liability coverages, which pay other people if you’re at fault in a crash. You can rely on your personal auto policy during that time, right? Not so fast. When you use your car for “livery” — carrying passengers or goods for a fare — it’s not covered by a traditional policy. What’s more, your insurer could cancel or refuse to renew your policy if it finds out about undisclosed driving for rideshare companies, no matter when an accident happens. 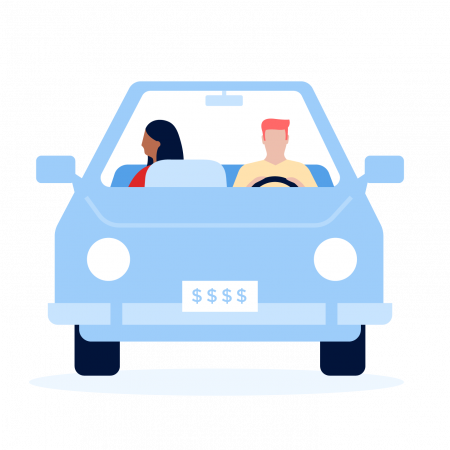 Many insurers now offer rideshare insurance policies, which extend your personal policy to cover ridesharing and guarantee you won’t lose coverage because of your job. Sound like too much insurance? It’s not a separate policy — just an add-on some companies offer — often for under $20 per month. There is an option in most states.